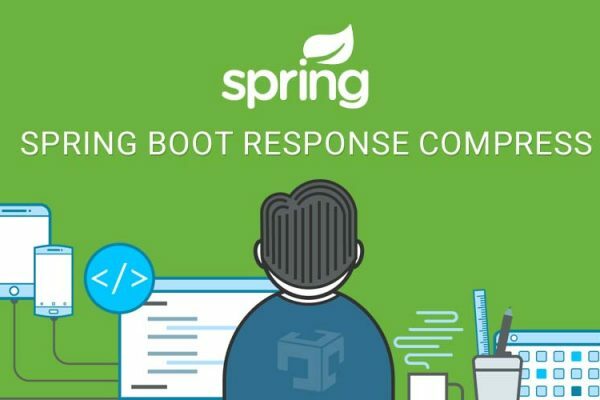 In this article, We will see Spring boot JNDI datasource Example. JNDI Datasource needs to be configured at the server level in our case it will be in tomcat configuration. Main advantages JNDI data sources is that application does not worry about database configuration because it defined in tomcat’s configuration and another advantage is that multiple application in the same tomcat can use same JNDI datasouce. spring-boot-starter-jdbc contains JDBC related class of spring. 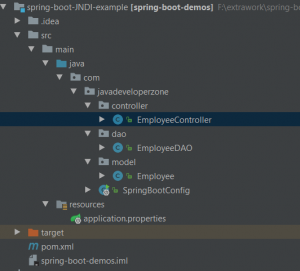 Spring boot provide embedded tomcat, so here we have created TomcatEmbeddedServletContainerFactory and define JNDI database configuration in ContextResource. If want to deploy .war file inside tomcat then create define JNDI properties inside tomcat XML configurations. DataSource bean has been created using JNDI data source. The controller will return the list of Employee which are available in specified data source using JNDI. Here, We have fetched all Employee which are available inside employee table using JDBC Templates. In this article, We learned about how we can configure JNDI Datasource with spring boot application.